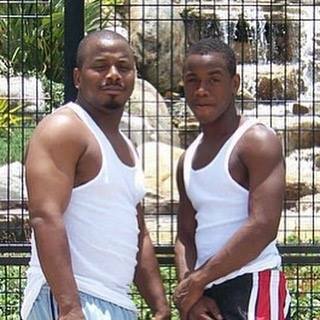 Demond Tally and his son, Demond Cottman. Demond Tally knew the feeling of deep loss. He tried to explain it just weeks after his only son was fatally shot the day after Thanksgiving 2016. Now, those who loved Tally are feeling that same emptiness. Tally, 45, was gunned down early Sunday morning, not far from his home on Presbyterian Avenue. His funeral is planned for noon Tuesday at the All Wars Memorial. 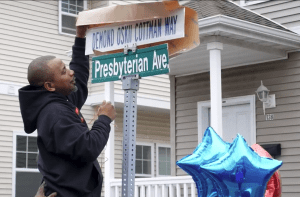 Just two years earlier, Tally had proudly unveiled a marker atop the street sign, honoring his son: Demond Oskii Cottman Way. On Monday, friends and family were still trying to understand how a man who had given so much love to his community could die in such hateful violence. From coaching youth football to coming to the rescue of a friend whose engine blew, everyone had a story about how Tally touched their lives. 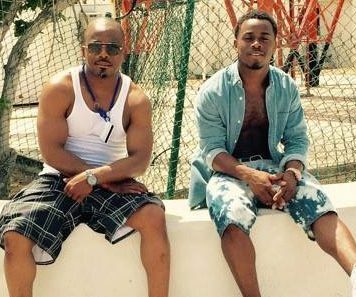 “Demond was the father for most of the young men and boys in A.C.,” said Terri Jones. Tally started coaching the Atlantic City Dolphins in 2003, just after his son began Pee Wee football. 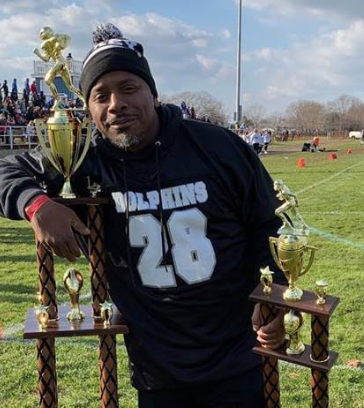 “He was not just a football coach, but, he stepped in and talked and mentored a lot of them into doing the right thing,” Jones said. She couldn’t remember him without a smile on his face. At DeMarco’s Market in the city’s Chelsea Heights section, the menu board had a new item. The Demond Tally Breakfast Special of French toast, eggs and beef bacon was added with the note, “We love you.” In January, Tally posted a picture of that same breakfast. Many also spoke of the father now being reunited with his son. No one was ever arrested in Cottman’s killing. But Tally made it his mission to carry on the plans the two had for his grandson, who was just 6 months old when his father died. Tally set up an education fund for little Ayyub to help carry out the dream he and his son had for him. The child will be 3 in May. Because of Demond Tally’s ties to so many children in the community, his family made sure counseling is available to help them through. 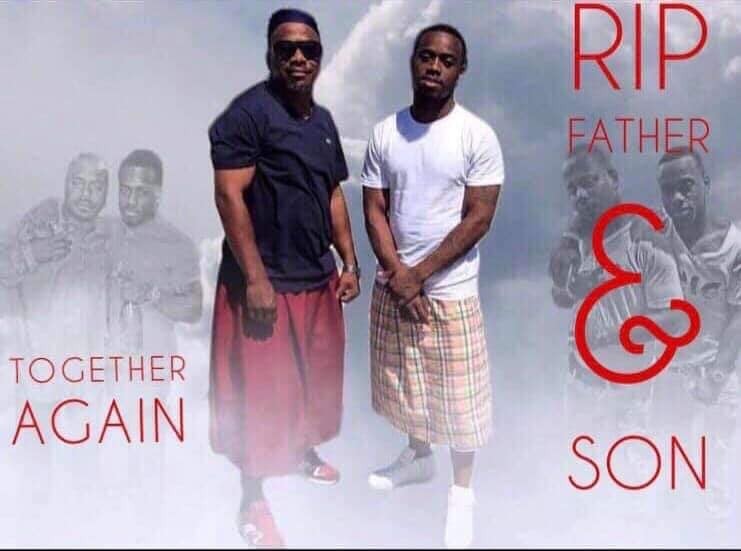 Anyone with information about either homicide is asked to call the Atlantic County Prosecutor’s Office Major Crimes Unit at 609-909-7666 or Atlantic City police at 609-347-5788. Information may also be texted anonymously to tip411 (847411) beginning the text with ACPD.